For those of you no time to read Steve’s biography which is coming out today, well earlier on Kindle, can watch the 60 minutes interview on CBS. CBS posted the interview online in 2 parts with some rare photos. You also get hear some of the recordings of Walter that he made from his 40 interview with Steve while writing the Biography. 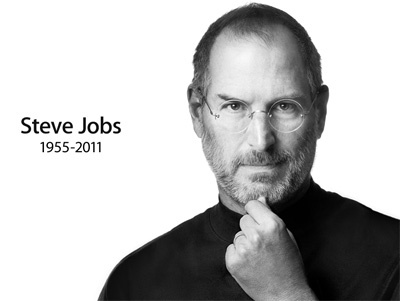 Apples founder Steve Jobs, one of the greatest CEO of all time and a true visionary has passed away. He was suffering from a rare type of pancreatic cancer. His death is a great loss to the world. He has touched so many peoples lives with his innovation, passion for work and creative genius. Any sort of cancer is not a good news for anyone. Everyone knew the outlook for him was not good. But we had hoped he would be among us a bit longer and never thought it would be so quick. Even though you are gone, but you will be among us through you work. You will be missed. RIP Steve Jobs. After all the drama and rumor mill about iPhone 5, apple has announced the new iPhone 4 refresh with iOS5 and the new cloud based services. 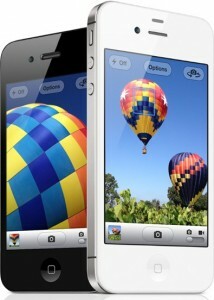 The new phone which have both black and white version will have dual core A5 cpu with a GPU and a 8 mega pixel camera. The baseband redio will support both CDMA and GSM networks. At its MAX 2011 technology conference, Adobe Systems Incorporated today announced Adobe® Creative Cloud, a major new initiative from the company that radically redefines the content creation process. Adobe Creative Cloud will become the focal point for creativity, where millions can access desktop and tablet applications, essential creative services, and share their best work. Adobe Creative Cloud is being announced in parallel with a new set of Adobe Touch Apps for content creation on tablet devices (see separate release). These stunning new apps bring professional-level creativity to millions of tablet users – from consumers to creative professionals – and utilize hosted cloud-based services to share files, view them across devices or transfer work into Adobe Creative Suite® software for further refinement. Applications – Access to the portfolio of Adobe Creative Suite tools as well as the six Adobe Touch Apps announced today. The offering will include industry-leading desktop tools such as Photoshop®, InDesign®, Illustrator®, Dreamweaver®, Premiere® Pro, After Effects® and innovative new tools such as Adobe Edge and Muse. Services – Key Adobe Digital Publishing Suite technologies, for delivering interactive publications on tablets; a tier of Adobe Business Catalyst, for building and managing websites; and new design services, such as the ability to use cloud-based fonts for website design, via technology acquired by Adobe through its acquisition today of Typekit Inc. (see separate release). Community – Capabilities that encourage creatives to present and share their work and ideas with peers around the world and a forum for feedback and inspiration that will foster connections between creative people. Adobe Creative Cloud will become a focal point for anyone creative. Pricing details regarding Adobe Creative Cloud and its expanded capabilities around applications, services and community will be announced in November 2011. For more information, visithttp://www.adobe.com/go/creativecloud. Adobe will continue to offer all its creative products as standalone offerings, including Adobe Creative Suite editions and flagship individual products such as Photoshop, Illustrator, InDesign and Dreamweaver.